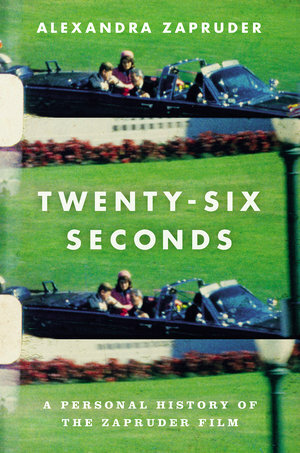 Alexandra Zapruder is the author of the new book Twenty-Six Seconds: A Personal History of the Zapruder Film. 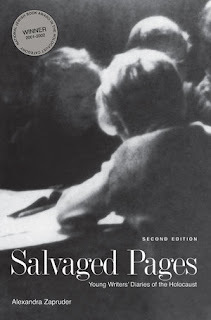 She also has written Salvaged Pages: Young Writers' Diaries of the Holocaust. She has worked for the U.S. Holocaust Memorial Museum and with the group Facing History and Ourselves. 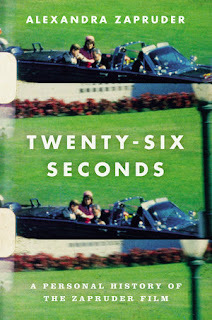 Q: You write, “As I worked, I struggled to reconcile the personal and historical imperative I felt to write this book with the worry that it would bring unintended and unwelcome consequences.” How did you balance those demands, and how did you balance your roles as family member and author as you were writing Twenty-Six Seconds? A: The key word here is “worry.” I was worried about how my family would feel and I was worried about whether I’d be able to be honest and straightforward about all aspects of this history. This is because it was such a departure from the culture of our family, which emphasized discretion about the film above all else. But when I really started working on the book and grappling with the material, I found that I wasn’t blowing the lid off of anything. In the end, this is a human story about people doing the best they could in difficult circumstances and about conflicts that arise from genuine disagreements about all sorts of important things. As long as I focused on telling that story truthfully and with respect for all parties, I found that the fear faded away and what was left was the truly gratifying work of writing about these ideas. Q: You note that your family really didn’t talk much about the film as you were growing up. What made you decide to write about it, and do you think writing the book changed any of your beliefs about the film? 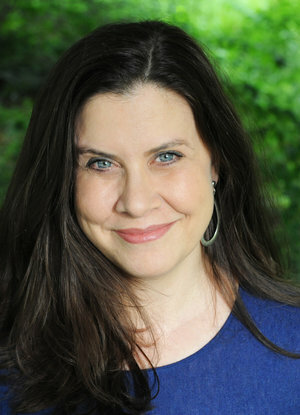 A: I decided to write about the film because I realized in the aftermath of my father’s death that our family’s relationship to the film was a very significant one, and that this part of the film’s life had not been told, and that without it, the whole story of the film and its impact on American society and culture was incomplete. Once I realized that, I felt it was important – and meaningful for me as a writer and a person – to really look at the film’s history in all its dimensions and try to understand its meaning, legacy, and significance not only for us as a family but for American society as a whole. I’m not sure I could say that writing about the film changed my beliefs, because I really didn’t have many beliefs about it before I started. But I do think it deepened my understanding of all kinds of important questions that the film raised and that continue to reverberate for us today. Q: What do you see as some of the most common perceptions and misperceptions about the film? A: One misperception is that the film only matters in the context of the Kennedy assassination. It is, of course, the primary visual evidence of the murder. But the dilemmas that the film posed for our family, the media, the government, the assassination researchers, the courts, and others touch on much bigger questions. These include how to balance public interest and private family values, who decides what the public sees and when and how, who owns the historical record and what it is worth, and cultural questions like whether there is such a thing as visual truth and how we reconcile our differing ways of interpreting the same information. There are smaller misperceptions – like the idea that the film was the only one taken on Dealey Plaza (it wasn’t: there were 21 other photographers present that day) or that our family sold the film to the Federal government (we didn’t: it was taken by eminent domain and its value was determined by an independent arbitration panel) that I was also able to address in the book. Q: What would you say is the film’s legacy, both for your family and for the public? A: This is a question I took up in the epilogue to the book. I will just say that the film captured a moment that was a turning point in American history and it will always stand for that point in time and all the tumult and chaos that followed. But I think it also has come to represent other things – like the recognition that even the photographic record doesn’t always capture a universally agreed upon truth or the fact that our faith in technology to answer all our questions may be misplaced. The film contains within it so many contradictions and it doggedly refuses to give up a clear answer to the question of who murdered the president and how. For me, its meaning and legacy lie in those inherent contradictions. On a still larger level, its legacy is that of the existential pathos that its narrative reveals. It’s a beautiful sunny day and there is a radiant couple driving down the street in an open car and then suddenly, without warning, it is all shattered. We know on some intellectual level that this can happen but the film shows it and it reminds us of certain very deep human truths that are painful to tolerate but important to confront. A: I’m not ready to start anything new yet. I’m still recovering from this book – which took a lot out of me – and catching my breath before I decide what’s next. I hope I’ll find another story that has the richness, complexity and unexpected depth that I found in this book and my first one, Salvaged Pages, but I realize that might be asking a bit much for one lifetime. --Interview with Deborah Kalb. For a previous Q&A with Alexandra Zapruder, please click here.